The newly released DVD Lehi in Arabia is a comprehensive documentary following Lehi's incredible journey from Jerusalem to the New World. 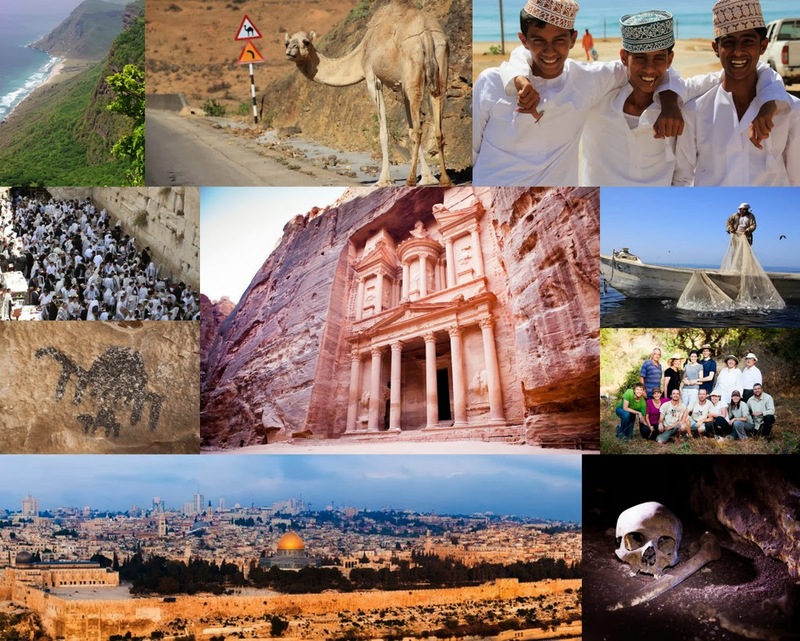 It is narrated by Scot Proctor (Meridian Magazine) and features onsite interviews with Noel Reynolds, Warren Aston, Jeff Lindsay, botanists, archaeologists, geologists and cultural historians as they explore all potential Bountiful candidates on the Arabian Peninsula. This DVD includes stunning images shot on location over three years and covers more than 30 years of exploration and research. It is the next-best thing to visiting the sites in person and it will uniquely compliment your Book of Mormon study and teaching. The important thing is not where the events of the Book of Mormon took place; the important thing is that those events did take place. When you come to the Holy Land and walk where the Savior walked and retrace the path of Nephi the scriptures come to life in a new and exciting way. These incredible people have now joined the small group of Latter-day Saints who have experienced both the beginning and end of Nephi’s epic journey across the Arabian Peninsula, a journey they’ll never forget. From Jerusalem . . .
To the Land of Bountiful, 2100 miles away. Day 12: Is This The Place? We began the tour in Jerusalem, the city that Nephi and his family fled and the starting point for one of the most incredible migration stories in history. On our final full day Jerusalem seemed like a world away. We had spent time in the hot, barren desert and flown over the landscape to comprehend Nephi’s 8 years in the wilderness in some small way. We had slept in tents, walked through dusty ruins, learned about how people survive in the desert, and we even sampled camel’s milk. As close as is possible, we were now all in a situation to appreciate what Nephi and his family had to endure and the incredible faith that they must have had. We were also in a situation to appreciate how they must have felt when, after all those years in the searing desert, the Lord guided them to a place of much fruit and wild honey, a land of fertility, a land of abundance. Today it was time to visit the most probable location for Nephi’s Bountiful, candidate #3, Khor Kharfot. Getting to Kharfot is no easy feat; it is an adventure in and of itself. The area is not set up for tourism and is uninhabited, even today. We had to wind our way west through a mountain range across Wadi Sayq to a small fishing village. From there we loaded up fishing boats with lunch and lots of water. One-by-one the boats brought us in with the waves to land at Kharfot. A large group of camels seemed to know we were coming and greeted us on the sandy beach. We set up base amongst some date palms and furiously drank water in an effort to stay hydrated. It was extremely hot, and by the end of the day at least one person referred to it as “the sweatiest place on earth.” They’re probably not far off. Time seemed to fly by as we explored the area and tried to stay hydrated. We looked at the freshwater lagoon and year-round spring, stepped over unexcavated building ruins, and admired ancient cave paintings that haven’t been dated. We took in the area generally and marveled at how green and lush it is—a world away from the barren desert just a few miles inland. Most people decided to cool off in the ocean before we loaded up the boats to return. The tide was coming in and some of the boat departures through the waves got a little . . . exciting. We departed by sea, as Nephi did. Exhausted, sweaty, and tired, we returned to our bus and headed back to the comfort of the hotel, satisfied with a truly adventurous day and a fitting conclusion to the tour. While we may never know the exact location of Nephi’s Bountiful, Khor Kharfot is the most probable place—the only one that meets all 12 of Nephi’s criteria. Flying south to Salalah, in the south of Oman, we could see the barren landscape of the desert stretch out before us in every direction. This was our final destination: the only region that could possibly include the location for Nephi’s Bountiful. Only three sites have been proposed for Nephi’s Bountiful and our objective as a group was to visit each site and evaluate them firsthand according to Nephi’s own criteria. (To see more on the criteria for Nephi’s Bountiful click here). After checking into our hotel we departed for an afternoon tour with our driver, Abdullah. Our first stop was Bountiful candidate #1: Mughsayl. Mughsayl has not been seriously considered as a possibility for Bountiful by many people: it only meets a few of Nephi’s criteria and archeological digs at the site have not revealed traces of any late Iron Age human occupation. 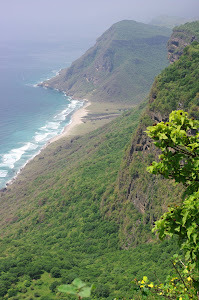 Nevertheless, it is a picturesque location with sweeping views of the ocean and impressive blowholes at high tide. We drove inland to the hills behind Salalah to quickly peek at the traditional site of the tomb of the prophet Job. At dusk we explored Salalah’s frankincense souk—a popular place to pick up frankincense, myrrh, and traditional Omani clothing. Everyone was ready for dinner by the time we returned to the hotel, and we enjoyed an incredible seafood buffet at the hotel’s open-air restaurant, right on the beach. Day 2 in Salalah gave us significant insight into the history of the area and the major role it played anciently in the frankincense trade. We spent the morning at the Museum of the Land Frankincense and braved the scorching heat to tour the adjacent ruins of Al-Baleed. It was instructive to see many examples of ancient ship building techniques, including some boats that were sewn together, and learn about how local products can be used to construct ships. Who knew that rope made out of coconut could be so strong? For lunch we visited a local restaurant that makes an unbelievable variety of fruit juices. For many, it was a chance to enjoy avocado juice for the first time and people were not disappointed. Finally, in the afternoon, we headed east to explore Bountiful candidate #2: Khor Rori. Anciently Khor Rori was an important port in the frankincense trade, and ruins continue to be excavated in the area. With a sizeable lagoon and cliffs jutting into the ocean, this is one of only two plausible locations for Nephi’s bountiful. On the way back to the hotel it was time for a final detour to spend time with some camel farmers. We didn’t let the pungent smell deter us as we enjoyed time up close with the camels. Most people even took advantage of the unique opportunity to sample fresh camel’s milk—still frothy and warm.